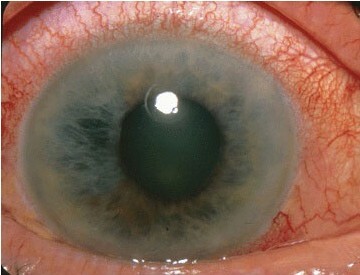 Eye Infections are caused by bacterial, viral, or fungal agents. There are many different types of eye infections, with different causes and treatments. Eye infections can affect one or both eyes, and can occur in people of all ages. Symptoms can include irritation, redness, discharge, and reduced vision. Treatment typically depends on the cause. To ensure that you receive the proper treatment for an eye infection, you must first get the correct diagnosis from an eye care professional. Because eye infections can be contagious, it is best to speak with an eye doctor about the possible cause and treatments, and your doctor should talk to you about ways to prevent spreading the infection. You may need prescription-strength medication to ensure that the infection resolves quickly. In most cases, eye infection treatment includes compresses, eye drops, creams, or antibiotics. Topical antiviral therapy may be necessary if the eye infection is caused by a virus. A leading category of eye infections is pink eye, or conjunctivitis. Certain types of conjunctivitis are very contagious and require immediate attention from an eye doctor. Typically, treatment involves staying away from work or school, prescribed anti-infective topical solution or ointment, and warm or cool compresses to alleviate symptoms. If you think you have a Eye Infection or are in any way concerned about you eye health, please get in touch to book an appointment with one of our optometrists.